Last week I had the chance to host a webinar with Mike Parkinson, a PowerPoint MVP and the founder of Billion Dollar Graphics. The purpose of the webinar was to show how easily you can create your own infographics. Here are the six steps (briefly outlined) you should follow in order to create original and stunning PowerPoint infographics. The first step in creating an infographic is to know your audience. You have to know what they want, what motivates them, and which type of infographic (there is more than one) will best influence them. Step number two is to know what message you want to convey. Narrow your message down to one step. Be as simple as possible. Mike mentioned that if your goal is to get somebody to do something, always include the benefits that come from doing that thing. In this step, it is crucial that you take into account only the most important aspects of your message. You need to look at your message as a whole and only take the most important aspects out and group them together. Get rid of all the other fluff. For example, you will want to keep the title, quantitative data, facts, and important text in your message. Now you need to take those chunks of data and information and assemble them in a way to show a process or tell a story. (Everything goes back to your audience and the message you are conveying.) Every infographic is different because the audience is always changing. Make sure you determine the best way to order your information for the maximum retention and benefit of your audience. This is the last step when creating an infographic. This is where the information becomes graphically represented. Add icons, symbols, use metaphors, and similes to drive home the story you are telling. Spare no expense! Make everything stand out. If you have successfully completed the first five steps, then you are left with only the most important information and everything deserves to look good and have time spent on it. Creating infographics can be very tricky because we all know what they should look like (we seem them everyday), we just rarely know where to start in their creation. 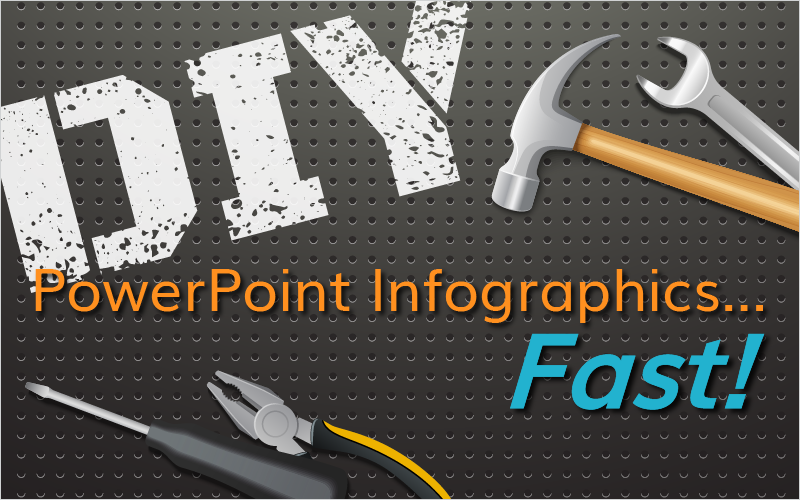 After following these six steps, you will be creating infographics faster than you thought possible. Stay tuned for more amazing webinars! Sign up for a free trial and be notified of upcoming webinars and new content!